Severe storms can create high winds, lightning, and hail that can cause shingles to be ripped off from roofs, trees to fall on your house or garage, and propel debris through your windows and walls. Any type of storm damage should be reported immediately to your insurance company. Call Rapid to help to protect your building’s integrity and prevent secondary damages. At Rapid Recovery Service we strive for customer satisfaction and quick emergency response. Our Storm Damage Recovery teams are available 24-7 and will arrive onsite for any storm repairs, in most cases, within 1 hour. 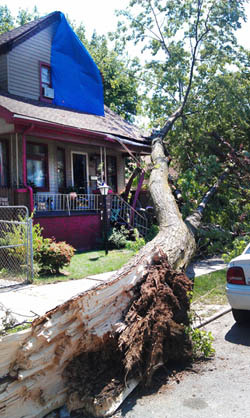 We work with all insurance companies to help restore your property following storm disasters. 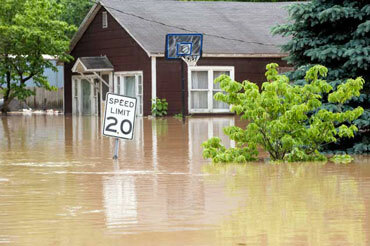 Flash floods can occur without notice, causing thousands of dollars in damages to homes and businesses each year. The professionals at Rapid Recovery have the experience and training to properly clean up property floods caused by storms. Contact us immediately if your home has been affected by a flood or if your basement has been flooded due to a sump pump backup to begin emergency water extraction procedures per IICRC guidelines. Our certified and experienced technicians are available to assist with any flood repair and clean up. Snow, ice, wind and hail can cause severe damage to trees. After a storm, trees may be uprooted, suffer broken branches, or can be found laying on top of your residence or business as a result of the force of wind or by the weight of ice and snow. 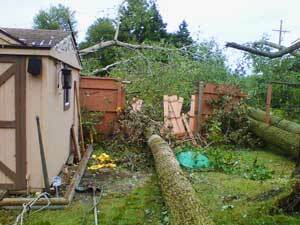 Rapid Recovery Service will safely and quickly cleanup and remove all tree and debris from your site. Rapid Recovery Service will inspect your roof, work with your insurance company to file a claim and repair or replace your roof. Some or all of the costs of repair or replacement may be covered by your homeowner’s policy. 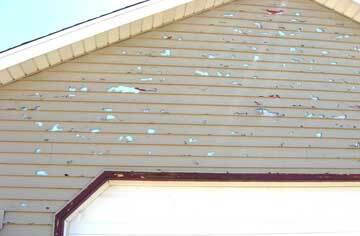 Hail or storm damage is not always visible to the untrained eye. That’s why it’s important to have your roof inspected by a professional who is trained to spot the signs of hail damage. Failure to address it quickly can lead to other problems. Contact us for a free inspection. Rapid Recovery Service is ready to assist you with all emergency roof repairs and tarp coverings as a result of heavy rains, wind, hail damage, storm, fire, etc. We have a vast array of solutions for stopping leaks and repairing damage. Whether you require a minor repair or a complete roof replacement, Rapid Recovery is standing by to provide you with excellent customer service and craftsmanship. Because the roof is one of the most critical parts of a house and directly affects the integrity of the entire structure, prompt action is necessary to prevent further destruction. For example, water leaks can damage the internal structure, ceilings, insulation, electrical system, and walls which can then lead to mold growth. Roofing damage due to storm-related conditions is a normal cause of loss and should be covered by your homeowners insurance, including the cost of getting help in an emergency in order to stop further damage to your property. 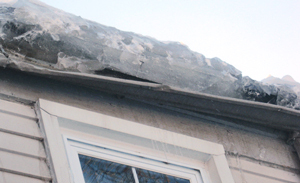 Ice storms in the winter can cause ice dams. The major cause of ice damming is improper ventilation. 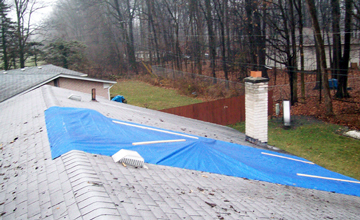 When the temperature drops below freezing, roof leakage can occur as a result of an ice dam. Melted water pools up under the shingles and leaks into the interior structure. We also offer Content Restoration, We specialize from complete packout of contents to office equipment. We want to make sure that you not only get the outside of your house restored but the items in it as well. We store your belongings in a climate controlled environment.